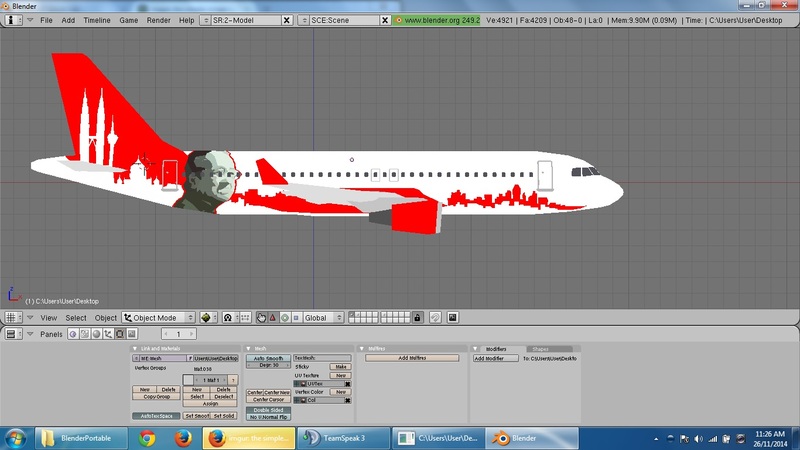 Is this done with a decal or are you cutting into the fuselage? 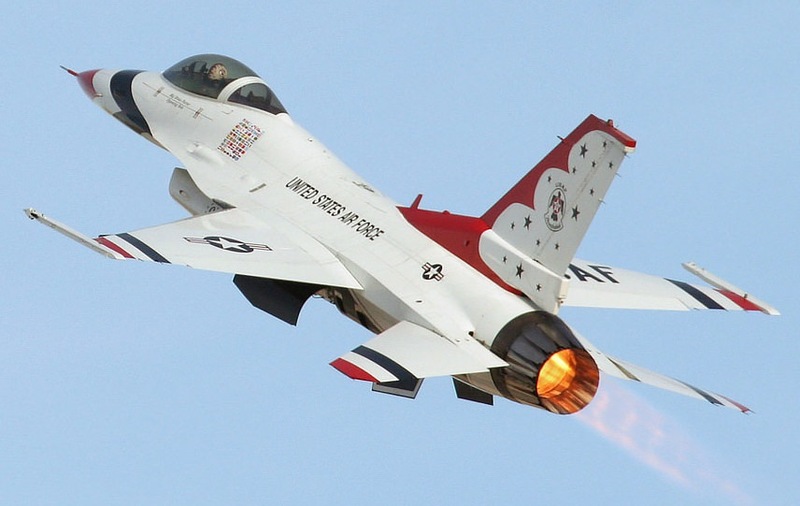 This is also my own hangar ground object. It shows up in Scenery Editor but not in YS. I put it on the map but it doesn't show. [PAX]Shaun ought to enjoy this when he returns. One more island and a few details to add and it will be ready to release. It could be something wrong with the .srf of the building (or did you use a .dnm?). That's awesome Patrick, looking forward to simulating air traffic at St. Kitts and Antigua. As far as the ground object problem, you could try the Ground Object > Re-link ground object option and see if that works. 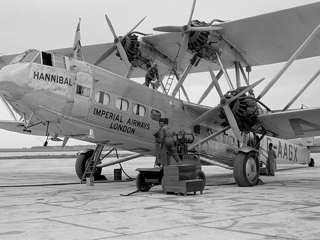 Anybody recognize this aircraft? Dumb question. This is not my model. I converted it over to YS from .3ds format. 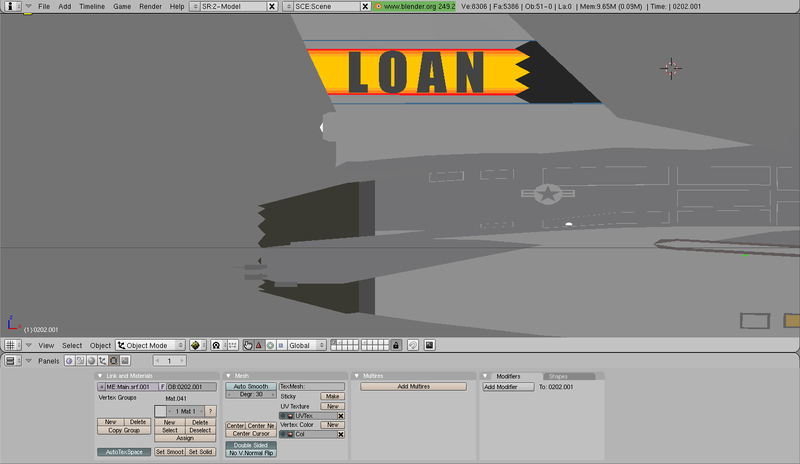 I'm working on animating currently and it will need some cockpit work too. Stephan nothing like a nice addon to introduce yourself. But please if you know the author or the original producer please credit him ether here or in a readme on release.It is site policy to do this. Hey there... that looks mighty fine! You've clearly put a bunch of work into cleaning up the model. 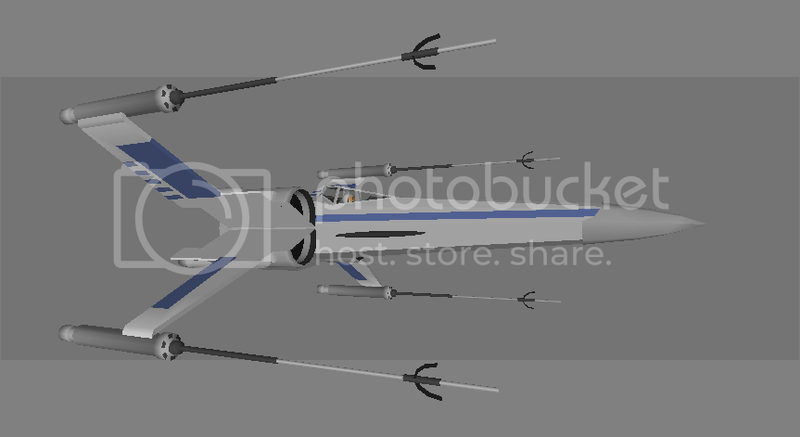 I am making a new X-wing. Just dont have a good view of the back of the fuselage. Rest is okay. I've been working on Hispaniola again. 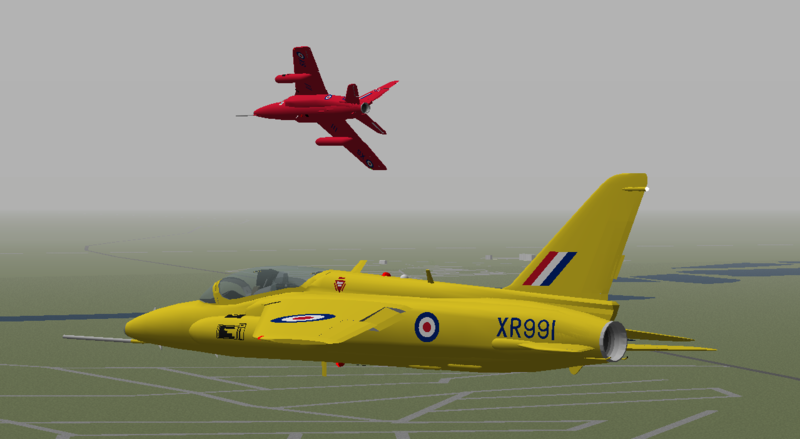 I populated it with aircraft in all the start positions. I got another airport complete. 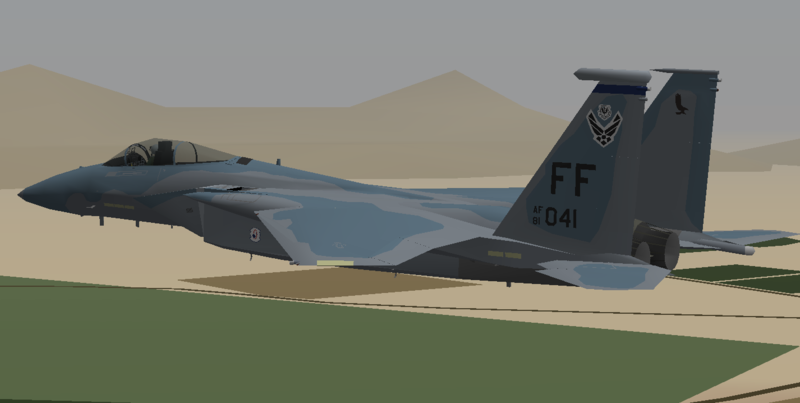 Almost done with the F-15C East Coast Demo aircraft, Langely AFB (FF) This one I'll release. I usually discourage having multiple projects, as you would have to allocate your time effectively, but this usually results in stalled projects ie. you start not giving shits to the projects you just showcased to concentrate on other projects, much like what happened to my TARDIS. But if you want to, I can't stop you. It is, after all, your choice. So, right now I am working on Haiti and Dominican Republic, which is eventually going to be part of a Caribbean map, I released YSSA in what is basically a "beta" form because I got bored with it and was busy working on the NCA classics pack. Meanwhile I was working on updates to my Hawaii maps and I already have a working folder for another set of islands in the Caribbean. I also have some aircraft models I would like to clean up and paint, especially Daniel's Piper Seneca, but haven't even looked at them in quite a while because I was doing other things. I like it this way. I get bored doing aircraft so I make maps until I grow tired of those and go back to chopping up aircraft again. I get bored of one project so I jump to something else for a while and then come back later. 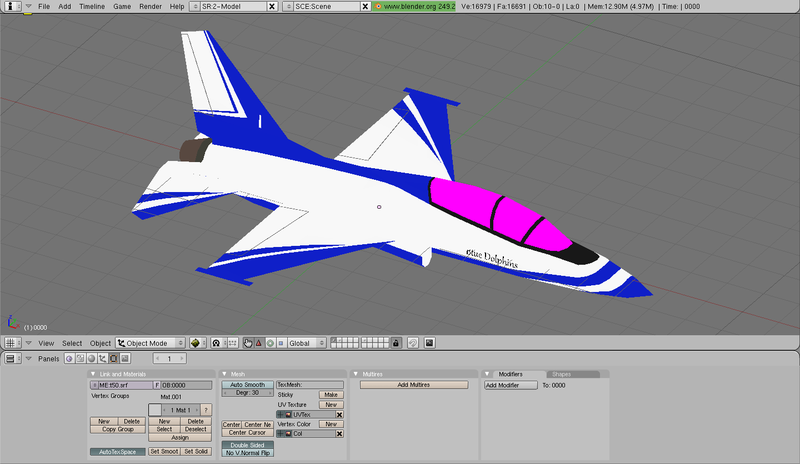 hi guys I been look around on my old memory stick and i found most of my old project's. 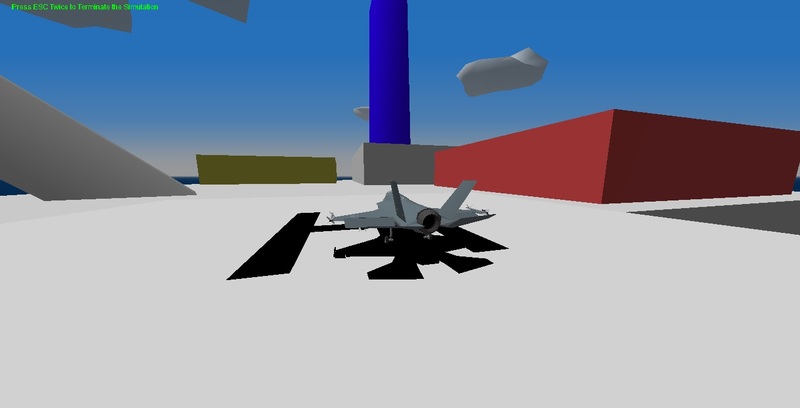 something pop up in my remodel of a hornet model. 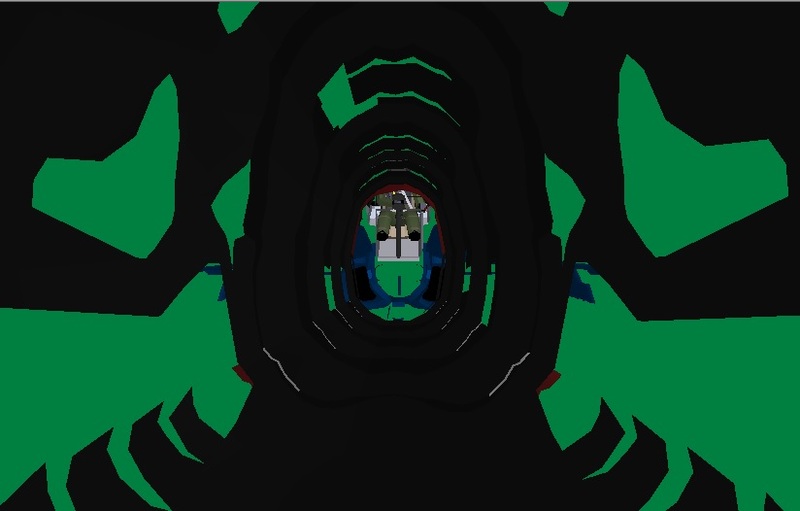 thanks for flake letting me edit the nose of the hornet and turn in to a dragon that is slowing dying. 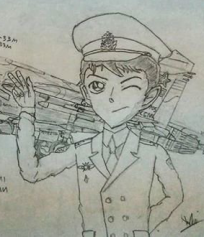 here there picture. the dragon is not done because I am going add the horns that on the dragon head and i may add feature to ward it. 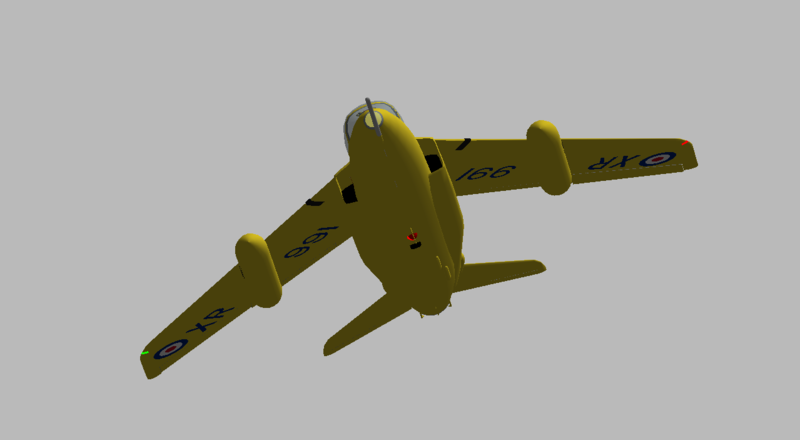 still need landing gears and weathering, fuselage details. Its a lot smaller than the original X wing. Hey guys. 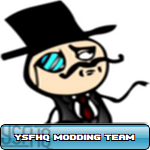 Since I've been away I've managed to find time to continue modding. 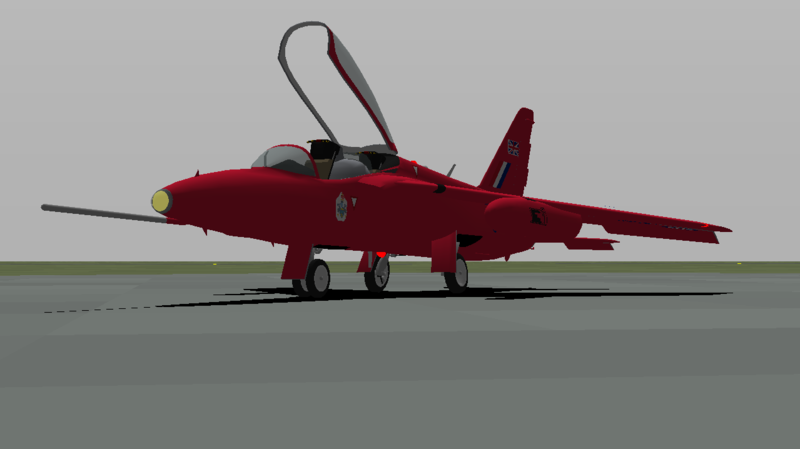 Here's my latest project the Folland Gnat T.1 which is one of my favorite Royal Air Force aircraft. 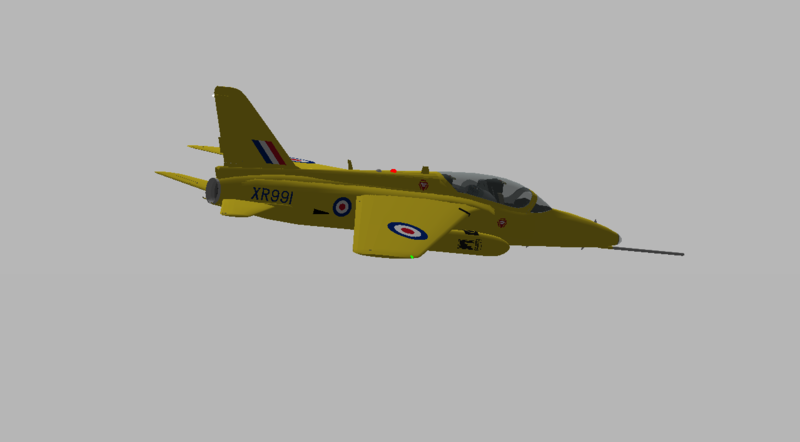 This aircraft is entirely scratch built since there was no free mesh available online. 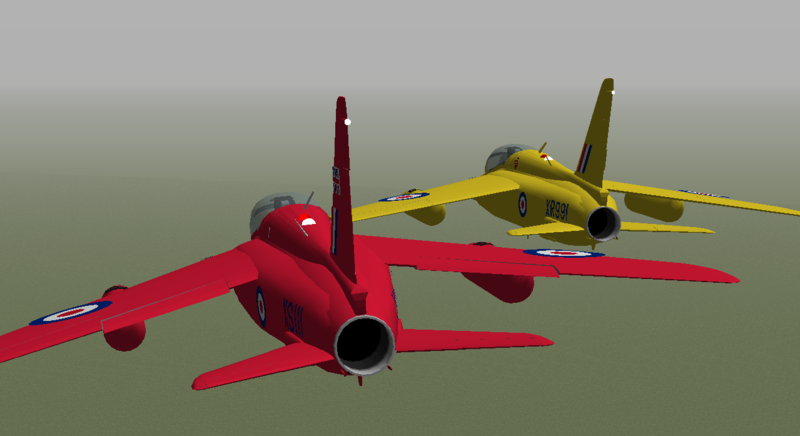 Once completed the pack will feature many well known repaints including the yellow jacks, Red arrows and the RAF training scheme. I don't know on a release date yet though I can definitely assure you it will be soon.